Easter is just around the corner, but if you're stuck for ideas for how to celebrate this most wonderful of spring holidays we've got just the thing for you. 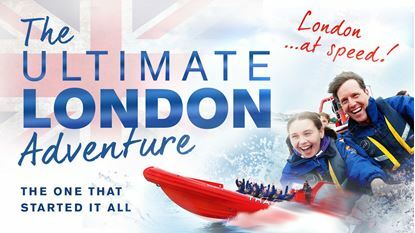 We're running a competition, and our lucky winner will receive a free family ticket for the Easter experience of a lifetime on board London RIB Voyages! To win this most eggsellent of prizes (sorry..) all you'll need to do is tweet us with a picture of something eggtraordinary using the hashtag #Eggtraordinary. You'll find us tweeting on @londonrib. We'll pick the picture we think best sums up what makes Easter great, and our lucky winner will be zooming all the way along the Thames with their nearest and dearest for the ultimate Easter treat. The prizewinners will be soaring along the Thames at 35 knots, feasting their eyes on the stunning sights of London in full bloom. And of course it'll all be set to the sounds of our fantastic soundtrack, and our comedian guides' Easter-themed jokes and anecdotes. So get out there and tweet us your finest Easter pictures, you might be the lucky one!